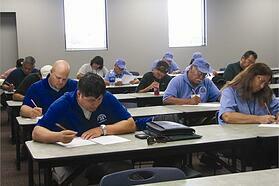 Are you wondering what the safety training requirements are for your employees? Inadequately trained employees are the cause of many workplace accidents and the source of many headaches and fines for employers. For most companies, it is important that an established training routine for your employees is instituted in order to increase the safety standards of your workplace and avoid fines from the EPA, California Department of Toxic Substances Control (DTSC) and OSHA. Many contractors are required to use 40 Hour HAZWOPER (Hazardous Waste Operations and Emergency Response) trained personnel as contract specifications indicate and for submittals for bidding. The HAZWOPER law was meant to be broad and to encompass personnel involved with hazardous materials and hazardous waste management. A review of the content of an effective site safety and health plan. Why Does Classroom Training Programs Work Better Than Online Courses? As employers please remember, for almost all of OSHA required trainings, including HAZWOPER; Your Company is “ON THE HOOK” for the safety and well- being of your employees. This means that YOU are liable for any fines, not the training provider, if OSHA were to ever find your training program to be deficient. With this type of potential liability, why leave your fate to chance to potentially save a few bucks with an online training provider. Make sure that you are getting the best training possible from your training provider. The “caveat emptor” or “buyers beware” factor is even more important since OSHA does not certify nor endorse any training programs. 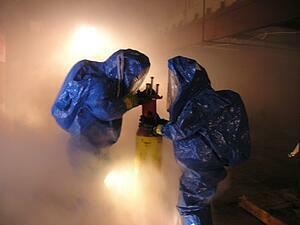 There are a lot of courses offered by companies that might not necessarily meet the OSHA requirements. Select a training provider that is both qualified in terms of education and hands-on experience, and one that also knows and adheres to OSHA regulations. If a company offers online 40Hr HAZWOPER courses they might fill your need for lowering training costs, but if that company’s knowledge is suspect, in the end it’s you, the employer, that pays the cost.